Sally A. Livingston, a member of the Department of Comparative Literature, died in Washington, D.C., on Oct. 4 after a long struggle with brain cancer. She was 71. She was born Feb. 24, 1947 in Montague, Mass. After the death of her mother, Adeline (Sojka) Geraghty, when Sally was just 7 years old, she lived with her aunt and uncle, Stella (Sojka) Skrzypek and Joseph V. Skrzypek, who became her adoptive parents. Livingston attended Sarah Lawrence College and the University of Manitoba, where she earned bachelor’s and master’s degrees in Renaissance history, after which she entered the doctoral program at the University of Toronto. She spent several years teaching history at Hampshire College in Amherst, Mass. She left academia to pursue a career in development and fundraising, at the Seattle Opera and the American Farm School in Greece, then as executive director of the Sisters of Providence Foundation in Springfield, Mass. Entering the investment field, she was a partner for several years at Woods and Livingston in Springfield before starting her own firm. She also served on the Massachusetts Commission on Judicial Conduct. In 1997, she helped found the Women’s Fund of Western Massachusetts to empower women and girls. In 2001, she returned to school and received her doctorate in comparative literature from Harvard University in 2008, where she later lectured on history and comparative literature. In 2011, Livingston joined OWU, where she was promoted to associate professor in 2015. At the age of 70, she was awarded tenure in recognition of her work as an innovative teacher and a committed mentor to her students. She was the cherished sister of Mary Ann (Mimi) Ginsberg and her husband, Dr. Stuart Ginsberg, of Arlington, Va., and devoted aunt to her beloved nieces and nephews. 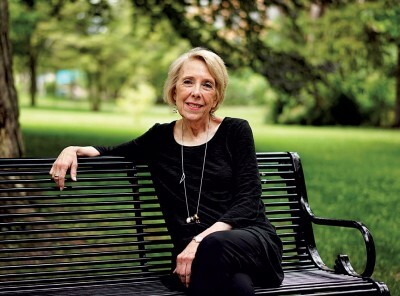 Contributions in Livingston’s memory may be made to the Sally Livingston Scholarship Fund at OWU or to the Women’s Fund of Western Massachusetts.